A Drug That Can Stop Sepsis? Sepsis is officially defined as “ life-threatening organ dysfunction caused by a dysregulated host response to infection.” In normal human terms, this means that sepsis is organ injury due to the body’s overreaction to an infection. It is indeed life-threatening, and according to the CDC, at least 1.7 million adults in America develop sepsis each year. Almost 270,000 people die from sepsis each year. Sepsis is one of the top — if not the top — reason patients get admitted to the ICU. As a Critical Care physician, therefore, I see patients with sepsis on an almost daily basis, and I have seen its devastation up close. Furthermore, sepsis has touched me personally: my eldest daughter died of shock and multiorgan failure from sepsis nearly 10 years ago. Throughout the years, and my medical career, multiple drugs have been tried and have failed to stop the vicious cycle of systemic inflammation that leads to the life-threatening organ failure in sepsis. Nowadays, with a high clinical suspicion, prompt antibiotic therapy, and aggressive resuscitation, we have greatly improved the outcome of patients with sepsis. 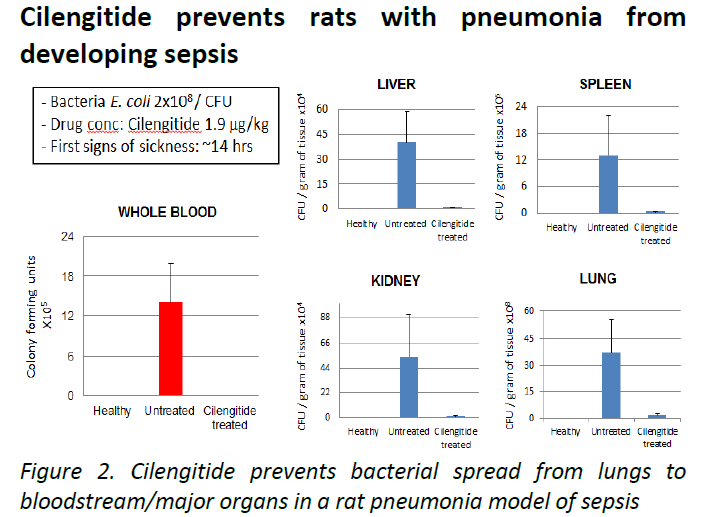 Still, we have yet to find the “magic pill” that can stop sepsis dead in its tracks (pun intended). 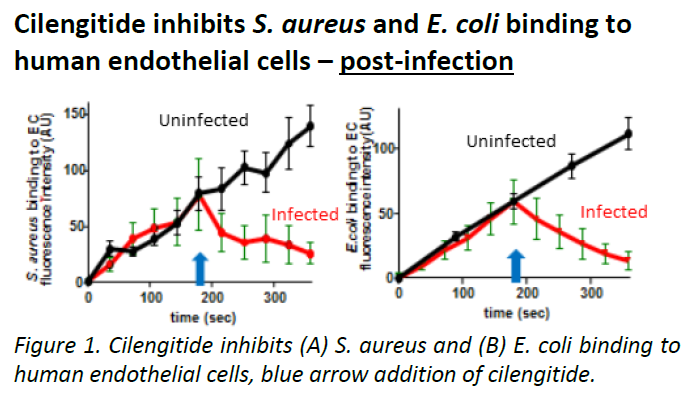 The Cardiovascular Infection Research Group in RCSI have discovered that antagonists of the major endothelial cell integrin, αVβ3, exemplified by drug candidate cilengitide, inhibits bacterial binding to the endothelium both in vitro and in vivo. By preventing bacteria from binding to the endothelium, downstream injurious effects such as thrombus formation, coagulation activation, inflammation and loss of barrier integrity are significantly reduced. These effects are the key events driving organ failure and mortality during severe infection. Basically, this medication prevents bacteria from binding to the cells that line the blood vessels. It is felt that, when these cells are damaged, the intense inflammation that follows is what causes the organ damage. If the damage to these cells can be prevented altogether, then the organ failure from infection may never happen in the first place. It’s a novel idea. What’s nice about this medication is that it is independent of antibiotics, as it attacks the infection from a different mechanism. One would think that, combined with antibiotics, the results would even be better: the antibiotics kill the bacteria, and this medication prevents the bacteria from binding to the endothelial cells. 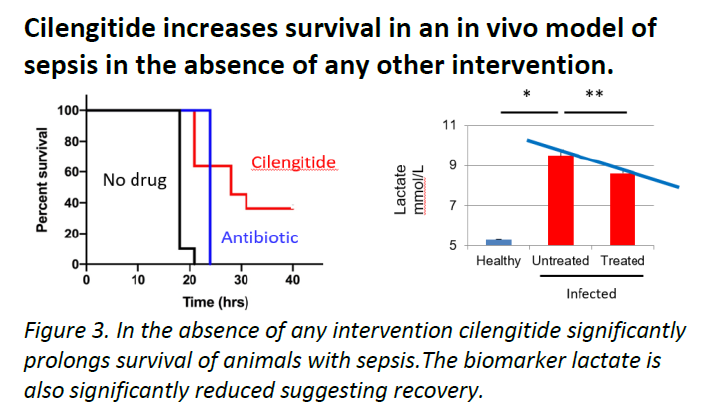 Now, there are a couple of caveats here: this research was done in an animal model of sepsis, and there have been scores upon scores of medications that have worked beautifully in animal models that have failed miserably in human trials. So, more studies need to be conducted in human beings before I get excited. Moreover, the results that they reported were very short term, and again, I would need to see more robust data before I would get excited about this potential therapy. Still, a treatment to stop sepsis dead in its tracks (pun, once again, intended) has eluded us in critical care for decades. If this medicine truly pans out in human trials, it would be a really big deal indeed. We will have to see.